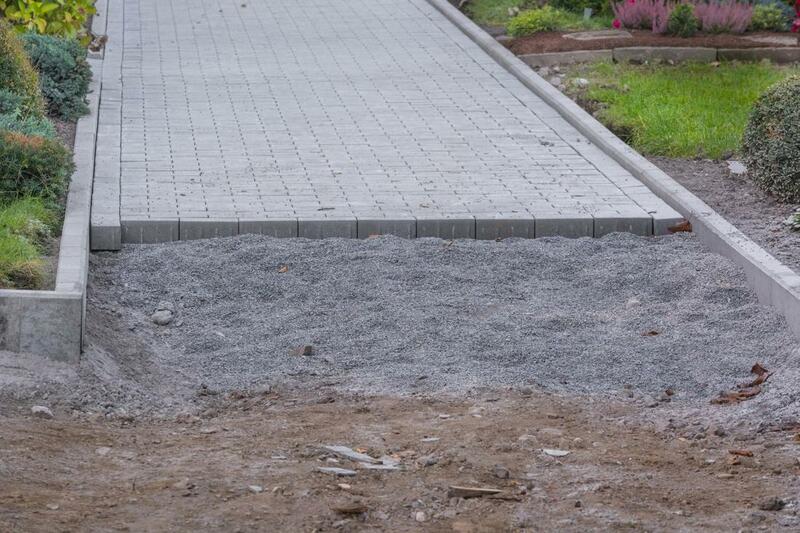 A common application request we have for paver installation is that of area driveways. The unique look and design capabilities that this material choice brings to your parking area is a main source of attraction and one of the reasons why it’s been a staple service offering for so long. If you’re looking for the means to have a reliable and durable driveway in place while adding your own sense of style and taste, then choosing Wellington Pavers to provide you with service is sure to deliver. Pavers have been an installation material of choice for driveways across the country for many decades now. Since its build type was introduced, the possibilities were recognized and sought after by many homeowners and Wellington Pavers has made it our speciality since we opened our doors. We understand what it is that has drawn people to this particular material and aim to ensure that those within the area looking for this option have the chance to have their installation done by the best paving company in the Wellington area, raising the level of beauty across the city. Choosing to have a driveway paver bring installation to your property opens a variety of options before you. You not only have your choice in how the eventual interlocking looks but every other detail down to size, color, shape and overall look. When choosing Wellington Pavers for your needs, you can be sure that we provide you with the range of design styles you seek and the professional designer ready to work closely with you in order to take the image you have in mind and turn it into a physical installation on your Wellington area property. When you choose pavers as your means of driveway installation, there are a number of reasons that can be behind it. Whether you’re looking for aesthetic, durability or the ease of maintenance involved, you can be sure that there is a myriad of benefits to this particular choice. Whether speaking of the ease of paver restoration, paver repair or the period maintenance required, the means in which your driveway is brought back to its original state is always a short journey. Whether calling upon our experts to bring you the results you need or your own DIY treatments, you can depend on an ease of maintenance. In bringing the best paving contractor in Wellington, Florida the capability to provide you the series of services you need when it comes to your driveway paver is important. Whether you need installation, restoration, repair or maintenance, you can count on the expertise that our professionals provide. We are the source of the highest level of quality in the city and ensure that you can easily obtain the services you require. No matter the state of your currently installed pavers, we have the knowledge and capability to bring back a look reminiscent of your initial installation and are always available.